This list includes some of the most dangerous roads in the world. Videos are provided for each road, many of which show travel over some of the roughest terrain on the planet. So, if you don’t get frightened easily, fasten your seatbelt and take a virtual ride. And if you’ve actually traveled on any of these awesome avenues, please let the author know. Now let’s begin the countdown. When Skippers Canyon became a popular gold-mining area, the need for safer access to it increased. (Yes, while the road is still dangerous today (claiming hundreds of lives every year), it is far safer than the miners' original track.) 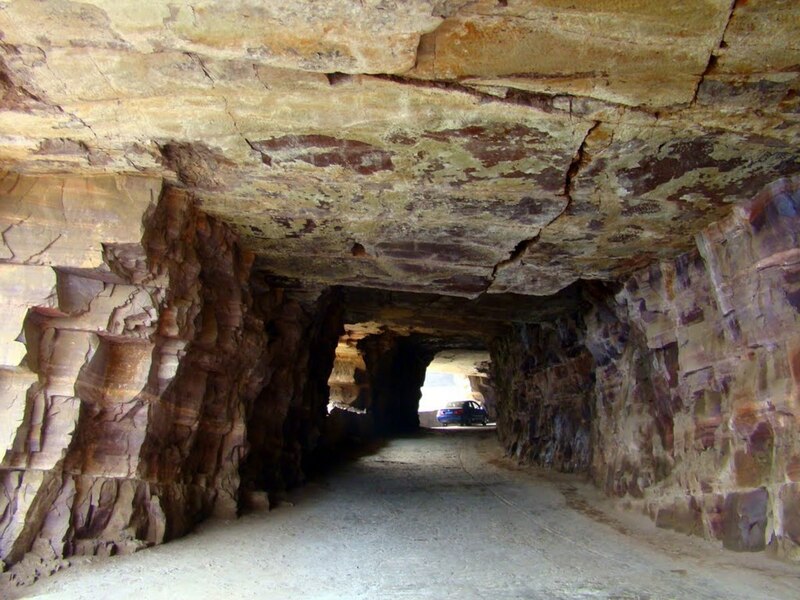 It took seven years to carve this gorgeous and frightening road out of the cliff face. It was completed in 1890, and many sections of the road remain the same today as they were then. Today, the road is frequented mostly by tour buses and adventure companies (pity their drivers!). Skippers Canyon Road is so treacherous that insurance companies will not honor the claims of those who drive it. 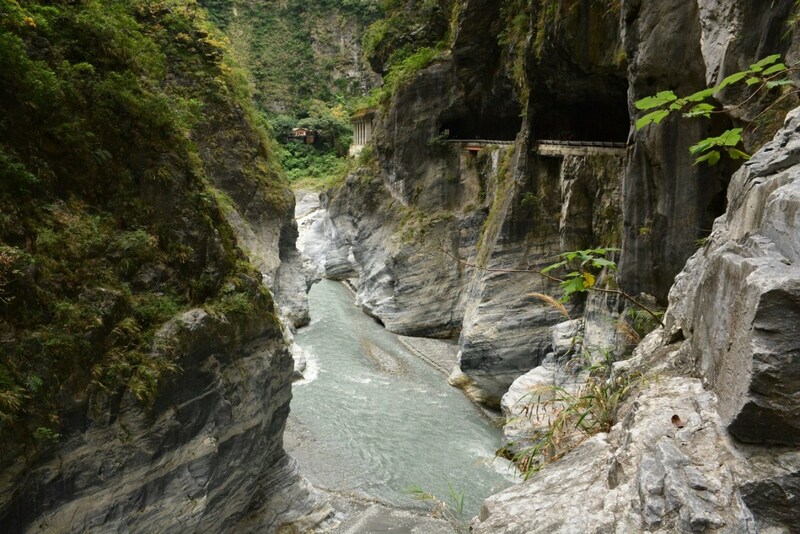 Similar to the Guoliang Tunnel Road (number 4 on our list), Taroko Gorge Road is carved out of and through the mountains. Due to the spectacular beauty of its surroundings, the road is well frequented in spite of its fearsome reputation. This means a slew of tour buses, cars, scooters, bicyclists, and pedestrians are all vying for space on the same narrow road—a frightening prospect, considering the number of blind turns and extremely narrow bends in the road. The road is also very hard to keep in good condition, as heavy rainfall and typhoons often cause landslides and rockslides that leave sections of the road impassable. While many who have visited say that it is well worth the danger, this is not a road for the faint of heart! Danger: Landslides, falling rocks, floods, avalanches, cliffs, and more . . . Built as high as 15,000 feet above sea level and under very rough conditions, Karakoram Highway is sometimes considered the Eighth Wonder of the World. Construction on the road began in 1966 and was completed in 1979, although it wasn’t open to the public until 1986. This dangerous road covers more than 1,300 kilometers and, at least in some places, follows the old Silk Road. 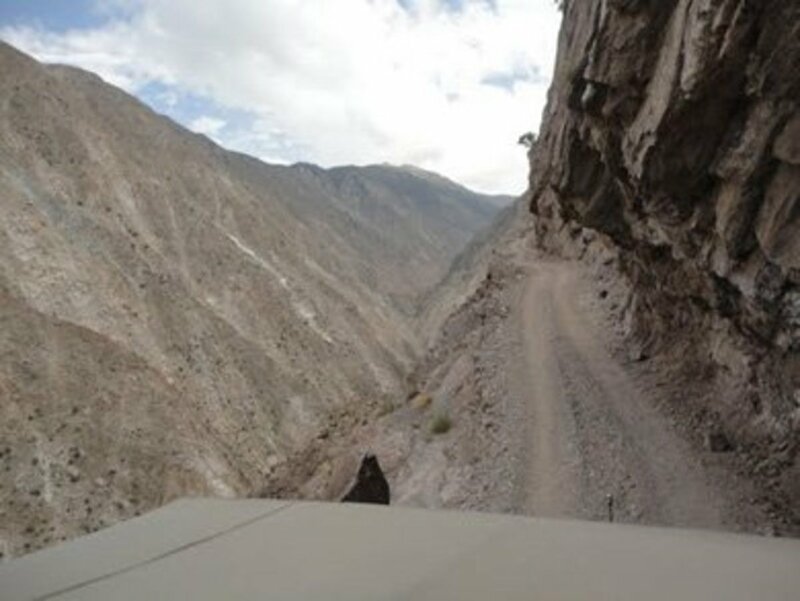 Cutting through the most mountainous region in the world, the Karakoram Highway is beset with hazards: rock falls, landslides, avalanches, flooding, snow drifts, reckless drivers, herds of animals, precipitous cliffs and terrible storms. 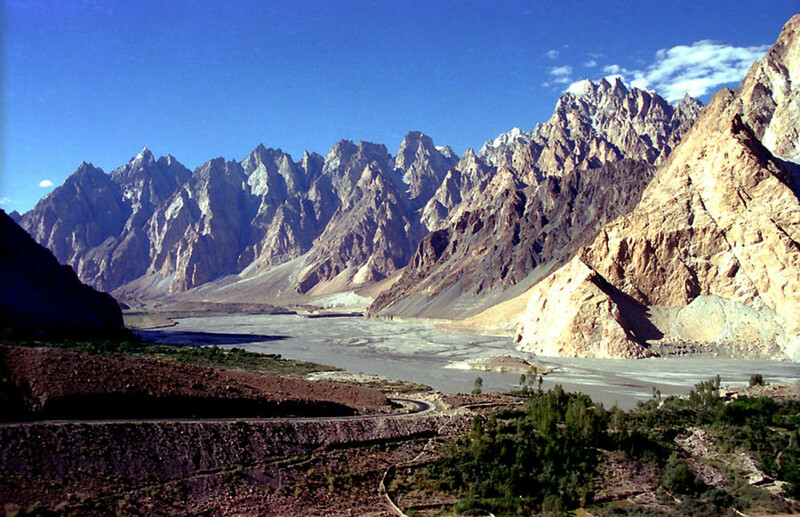 Interestingly, the road meanders through the Hunza Valley, the scene of James Hilton’s Lost Horizon, a novel about the mythical Shangri-La, a harmonious place where people live for centuries. Starting from Karakoram Highway and leading to the village of Tato, this road may only be 10 miles long, but it is absolutely harrowing. 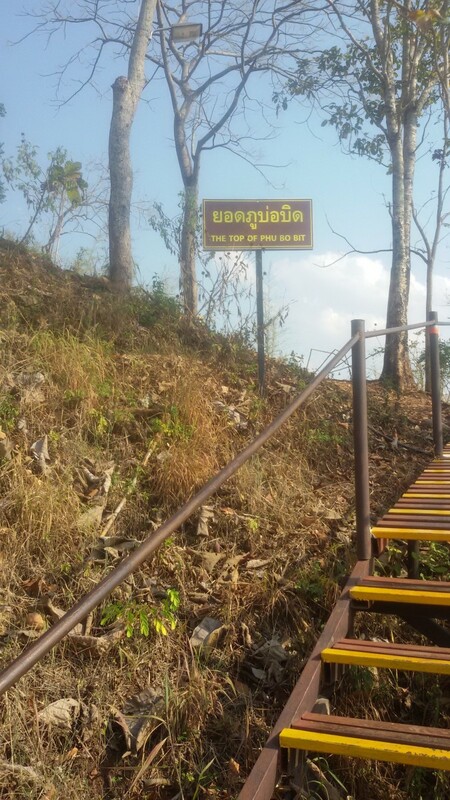 It is narrow (approximately the width of a Jeep Wrangler), unpaved, and unmaintained, and instead of guardrails, there is a multi-thousand-meter drop to the valley below. The road also climbs nearly 8,000 feet in a short distance, meaning much of the drive is composed of frighteningly steep sections. While the Fairy Meadows that await those who make the drive (and complete the rest of the hike on foot) are unspeakably gorgeous, few are brave enough to make it there. It comes as no surprise that the country that brought us the Zhangjiajie Grand Canyon Glass Bridge and the rickety wooden walkways of Hua Shan also has its share of dangerous roads. Located in Tianmen Mountain National Park in central China, the 99-Bend Road to Heaven features—you guessed it—99 death-defying hairpin turns constructed hundreds of feet in the air. If you went off the road in such places, you’d surely die in a fiery crash. In bad weather—with the ever-looming possibility of an earthquake—the road is incredibly treacherous. How many hapless folks must have died while constructing this highway in the sky? The Pan American Highway (PAH) is not entirely dangerous, that is, it’s probably no worse than your average American highway. 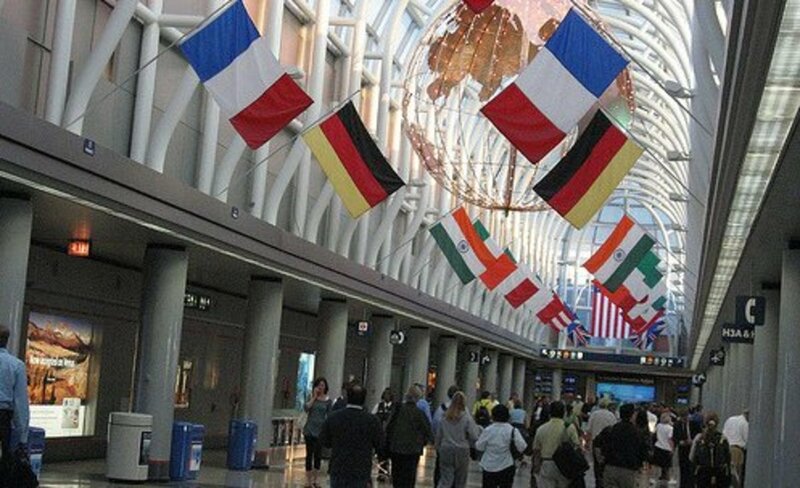 But in some places, you risk your freedom and even your life by using the PAH as a means of travel. Certainly, a dangerous section of the PAH winds through Mexico and Central America, where drug cartel terrorists roam. And in the Panamanian section of the road, you could encounter FARC rebels, who often take captives and hold them for ransom, sometimes for years, while others never escape their makeshift jungle prisons. Anyway, the PAH is 30,000 miles long and the only broken section of the road is the 60-mile Darién Gap, between Panama and Colombia, where the FARC are even worse. Let’s hope they never complete the highway through there! 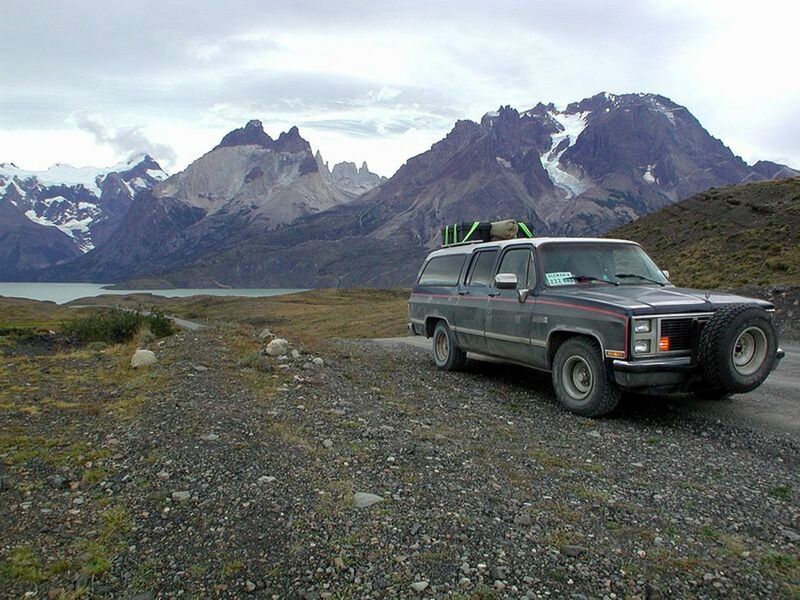 The record for the fastest trip by car from Ushuaia, Argentina, to Prudhoe Bay, Alaska, is credited to Tim Cahill and Garry Sowerby, who completed the drive in just 23 days, 22 hours, and 43 minutes. This road connects the Pan American Highway with Cotopaxi National Park, and it is 25 miles (40 kilometers) of solid nope. On top of being unpaved and severely potholed, the road also features slippery slopes and a stream with no bridge. That's right—you just have to drive right through it and hope there won't be one of the flash floods the stream is infamous for. PS The volcano is still active, with over 50 eruptions since 1738, so there's that too. This very long highway connects Chengdu in Sichuan with Lhasa in Tibet, through an area known as Kham. Continuously beset with rockslides and avalanches, the Sichuan-Tibet Highway is a treacherous, switchback-laden highway that winds among towering peaks, often causing vomit-spewing altitude sickness in travelers. Along the way, numerous Buddhist monasteries, red-robed Buddhists and herds of yaks can be seen. 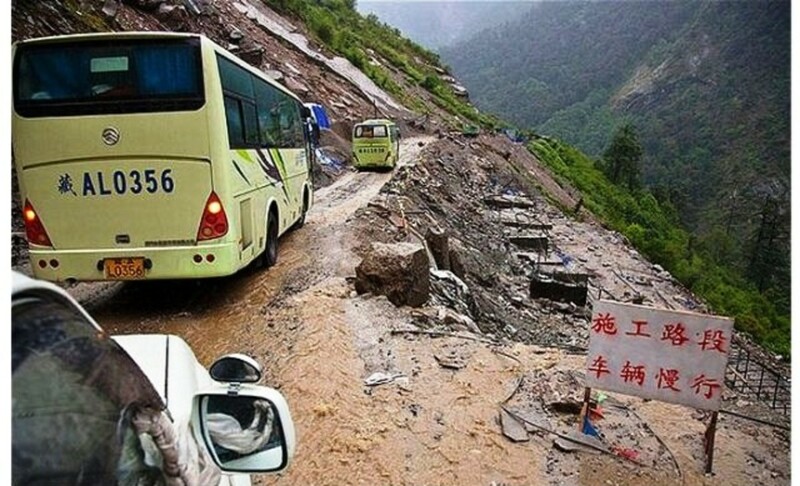 The road was built between 1950 and 1954 and since then, many thousands of people have died while traveling on the Sichuan-Tibet Highway (a shocking 7,500 deaths for every 100,000 drivers). 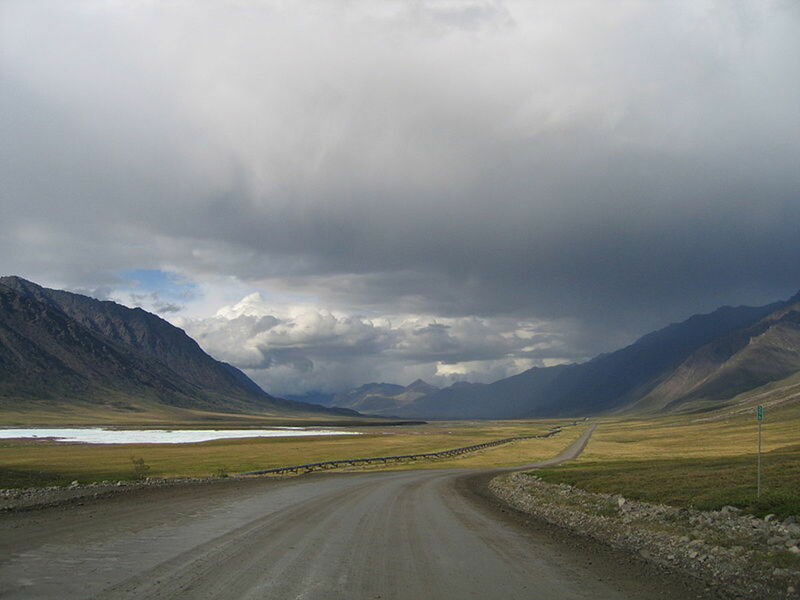 Also known as the North Slope Hall Road, the James Dalton Highway is a road used by truckers, especially those who travel to and from the Prudhoe Bay oil fields on the north slope of Alaska. In fact, the road supports the Trans-Alaska Pipeline System. The Highway is 414 miles long, paved in places, but about three-fourths of it is not. 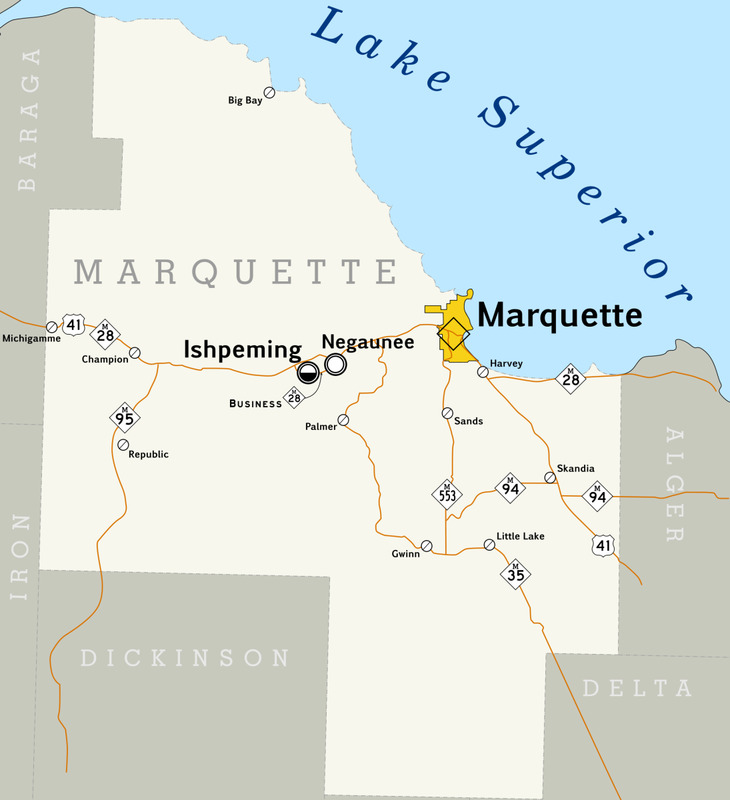 There are no medical facilities along the road, and only three towns exist along the way. 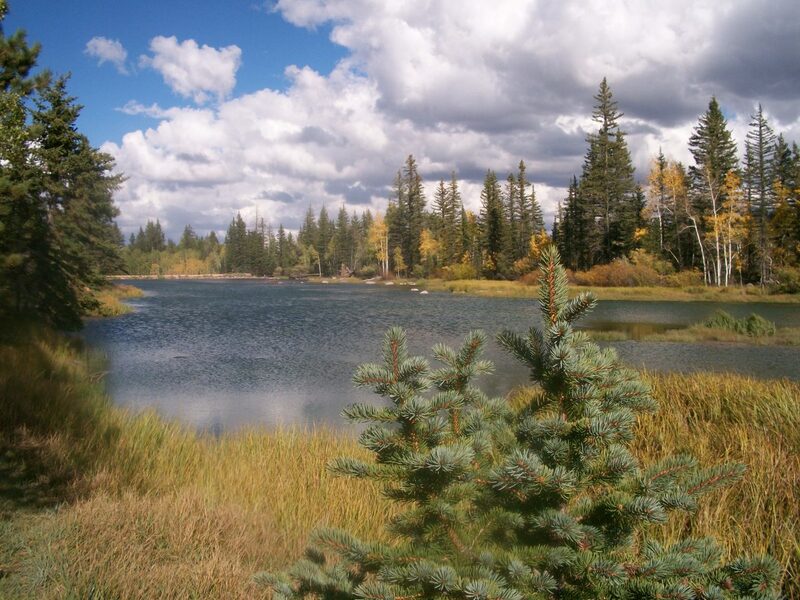 It’s advised that anyone traveling the road should bring survival gear and plenty of supplies. 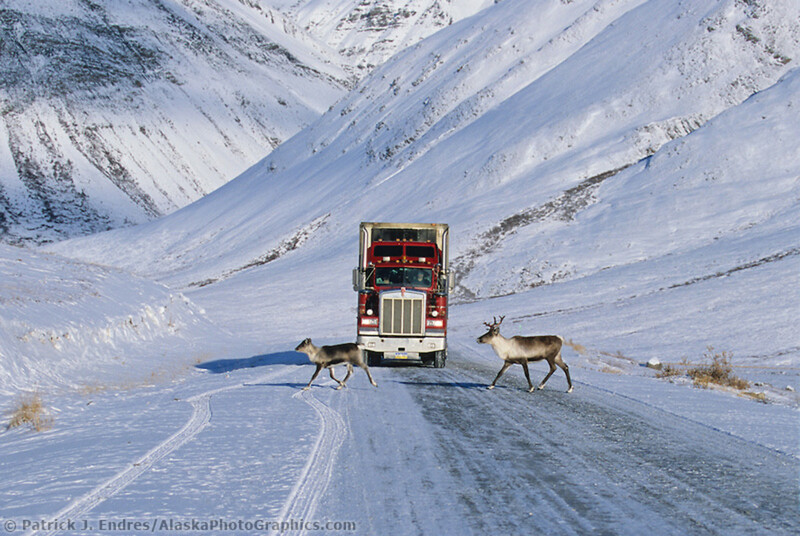 Interestingly, the TV reality show, Ice Road Truckers, has many episodes dramatizing the rigors of traveling on this deadly, primitive road. 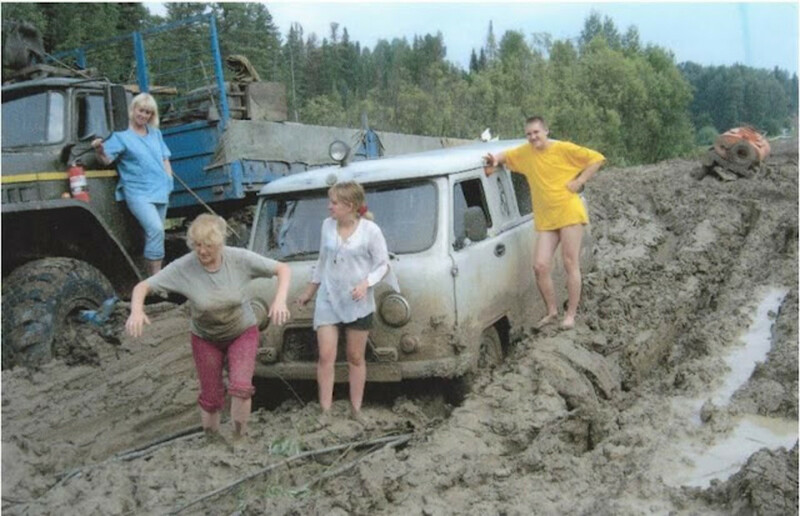 Travel through Siberia is always a challenge. Nicknamed the “Road of Bones,” this Siberian road from Magadan to Never meanders its way through one of the coldest regions in the world. It is a combination of two highways—the R504 Kolyma Highway and the A360 Lena Highway, both of which are subject to the same dangers (though the R504 is better maintained). The highways are joined by the Lena River Ice Road, which is exactly what it sounds like: a "road" across the river that is open yearly from December through April, when the ice is frozen enough to drive on . . . or so one hopes. Sadly, dozens lose their lives each year when their vehicles fall through the ice. 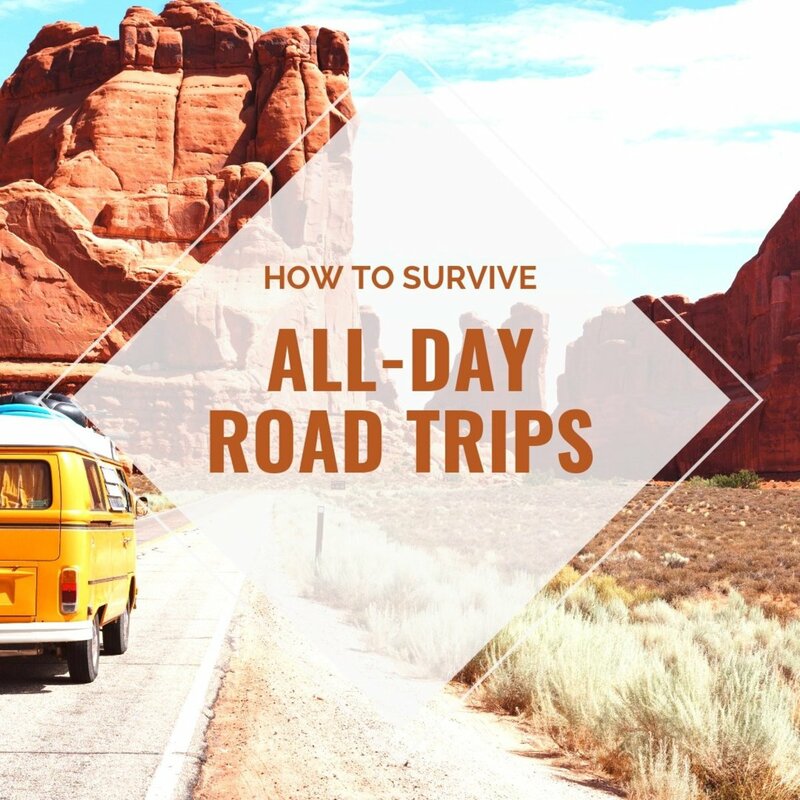 The preferred time to travel on the road is winter, when the ground and water are frozen, making travel somewhat easier (though you still have heavy snow, ice, and extremely low visibility to contend with). But during July and August, when it tends to rain a lot, the road becomes a monstrous quagmire, leading to traffic jams miles long. Only the most rugged 4X4 vehicles can manage this muddy beast. To make matters even worse, people get so bored during these traffic jams that they’ve been known to rob each other to pass the time! 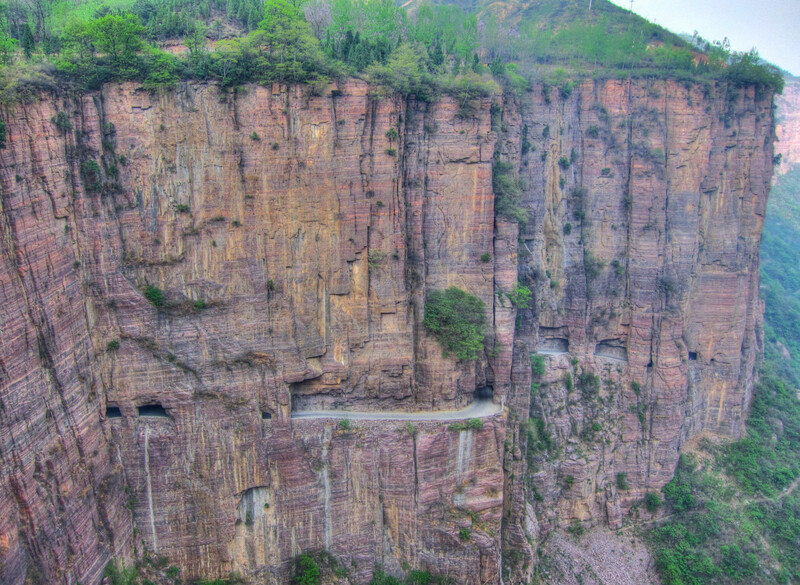 When the Chinese government decided it wasn’t worth the trouble and expense to make a road that would be used by only 300 villagers, 13 of those villagers decided to build a 0.8-mile tunnel through the solid rock of a vertical cliff. Located in the Taihang Mountains in the province of Henan, the villagers used explosives to blow their way through this vertiginous cliff. Lacking road-building experience, some villagers died in accidents. The tunnel is 15 feet high and 12 feet wide, barely wide enough for two cars. Taking five years to build, the road was opened to traffic in 1977. Beware: This road is particularly dangerous when it rains! 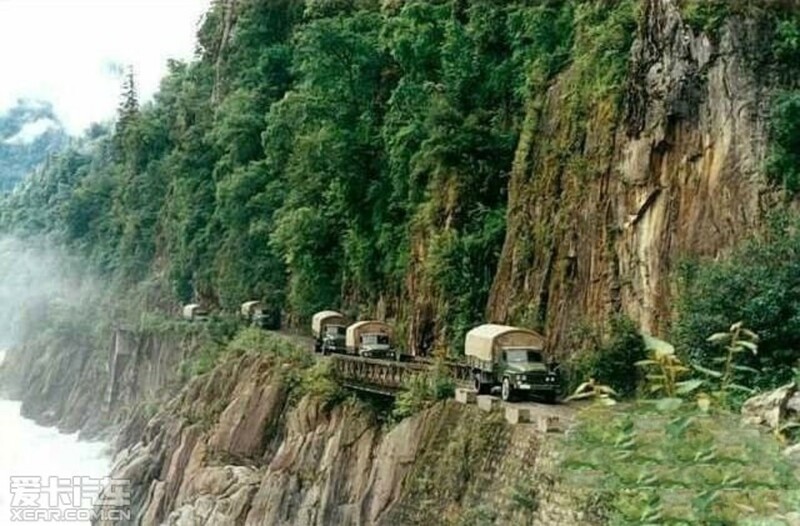 Interestingly, at least two other cliff-tunnel roads have been constructed in this area of China. Just about any road that winds through the highest mountain range in the world would probably be at least somewhat dangerous to travel. The Zoji Pass certainly qualifies in this regard, since it’s a dirt road with no guardrails or traffic signs and where landslides are a continual problem. Moreover, the road zigzags among craggy peaks at over 11,000 feet at its highest elevation. 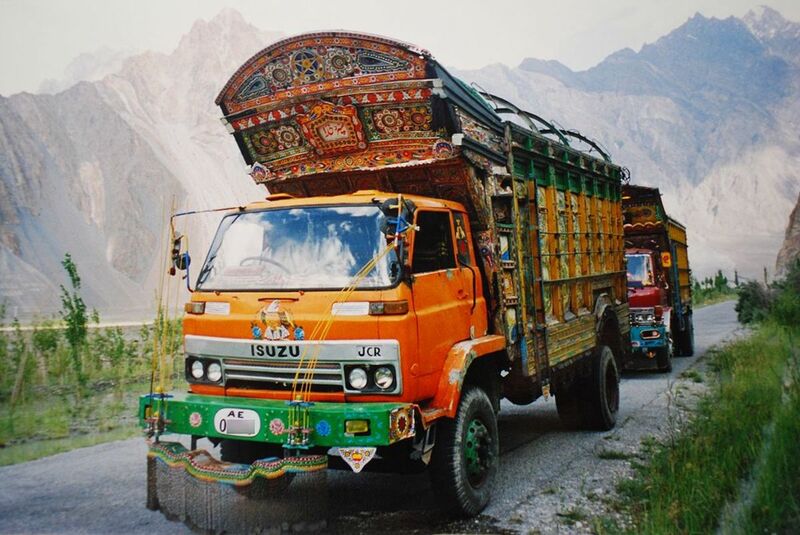 Connecting the towns of Srinagar and Leh in the western Himalayan mountain range (Indian Kashmir), Zoji Pass is generally closed during the winter, when 50-foot snowdrifts make it impassable. Mercifully for drivers on the road, Zoji Pass is only about 9 kilometers long. 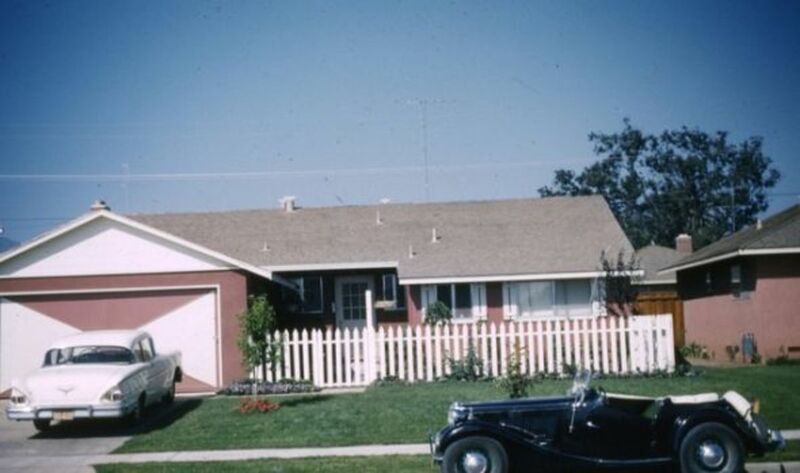 By the way, it was originally built in 1947 and first used for military purposes. If you don't want to travel on a road nicknamed “The Road of Death,” stay away from this one! 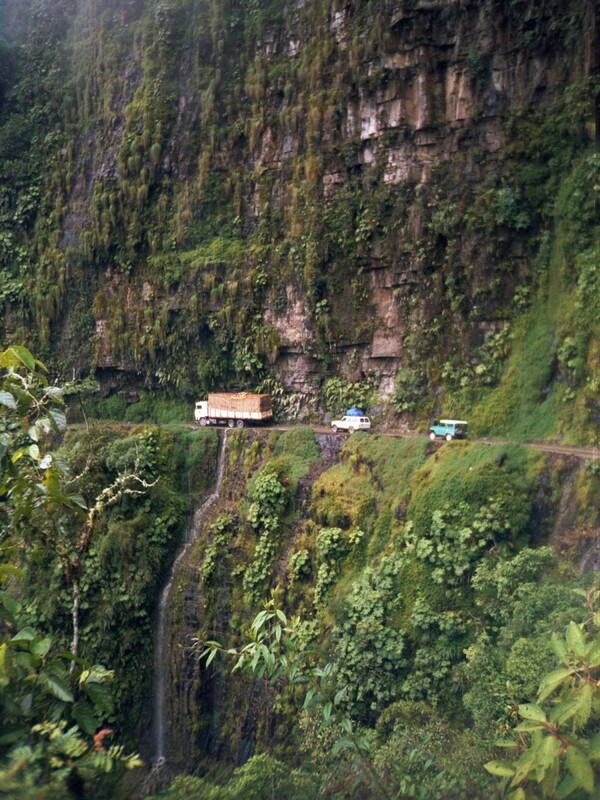 Leading from La Paz to Coroico, the Road of Death is almost 50 miles of one-lane road, featuring vertical drops of as much as 3,000 feet into the Amazon rainforest below. Astonishingly, the road has over 200 hairpin turns. Up until 1994, nearly 300 travelers died on the road every year. Numerous makeshift memorials can be seen in places where hapless folks have plunged over precipices and gone crashing down into the jungle ravines below. Fortunately, the worst part of the road has now been bypassed by a two-lane paved road, so vehicle traffic on the road has diminished. But cyclists still challenge the Road of Death, some dying in the process. 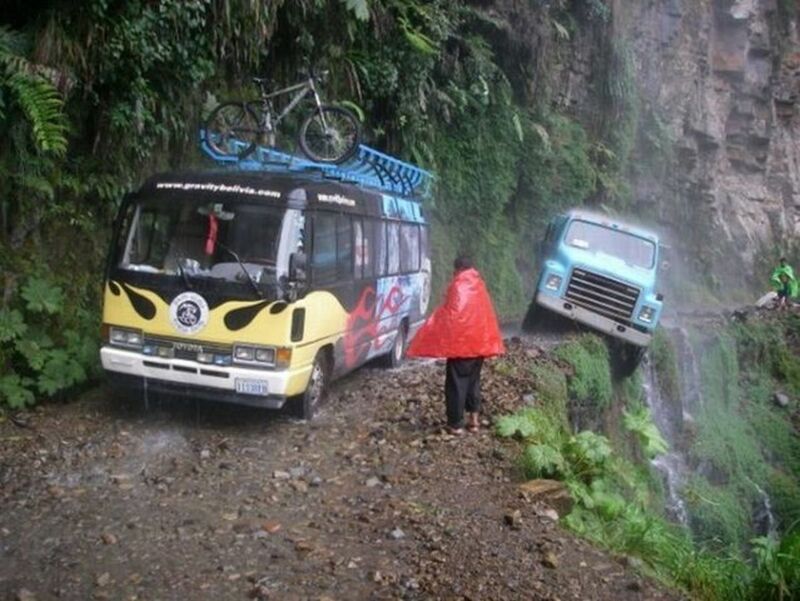 Incidentally, the South Yungas Road to Cochabamba is considered almost as dangerous. 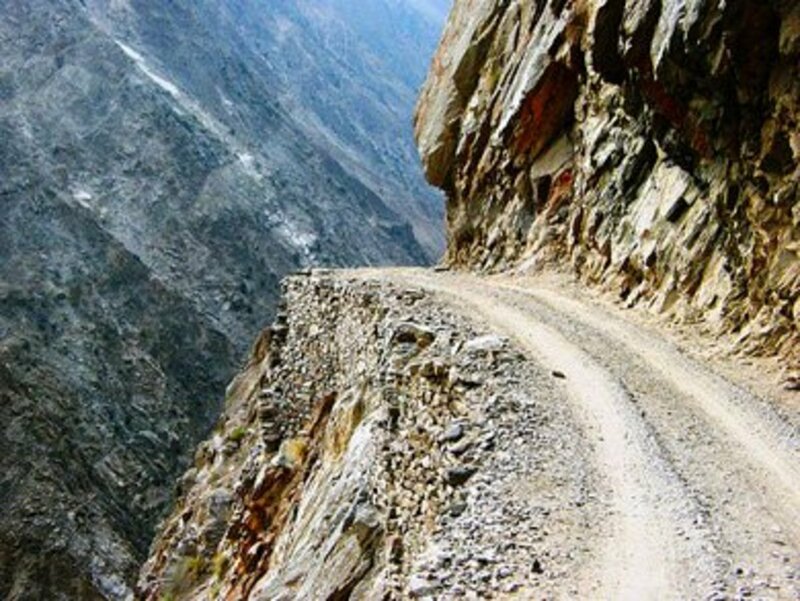 This hair-raising road is only for people who love to drive in the mountains and have nerves of steel. Open only during the summer months, this rocky, gravelly road is about 70 miles long. A six-mile stretch of it is particularly hazardous; rocky overhangs look as if they could fall upon the roadway at any moment. The road was built hundreds of years ago by local villagers and has not been repaired over the decades. Only wide enough for one jeep at a time and having no guardrails, this dirt-and-gravel road is terrifyingly unstable in places. One false move by a driver could send a vehicle 2,000 feet down a vertical cliff. This road is so frightening that it’s hard to watch videos of people driving over it. If your bucket list has this one on it, make sure it’s your last challenge! Not sure if you're up to it? Check out this travelogue about driving the Killar to Pangi road for more photos of and details about this harrowing route. Alves, T. (2017, May 25). A Brief History of Skippers Canyon, New Zealand. Fisher, J. (2017, December 07). 25 most deadly highways in the U.S..
Hartman, A. (2018, June 25). 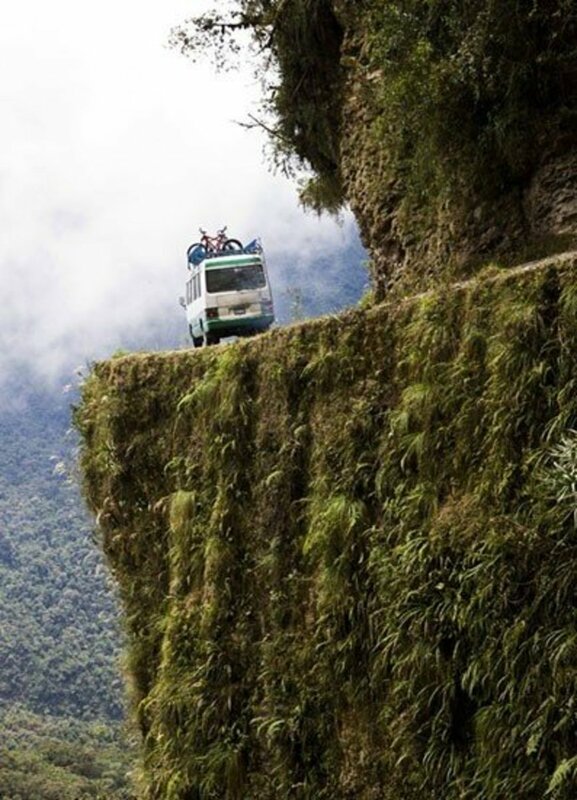 Is Bolivia's "Death Road" Still the World's Most Dangerous Road? Moulton, M. (2018, March 08). 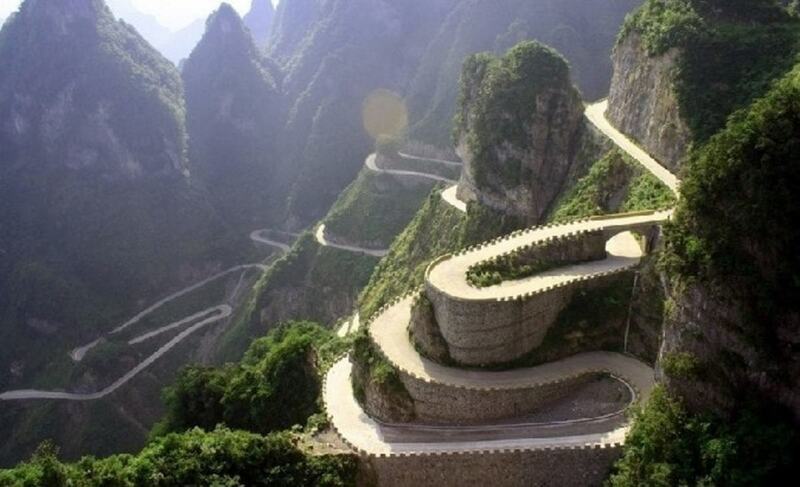 The 10 most freakishly terrifying switchback roads in the world. 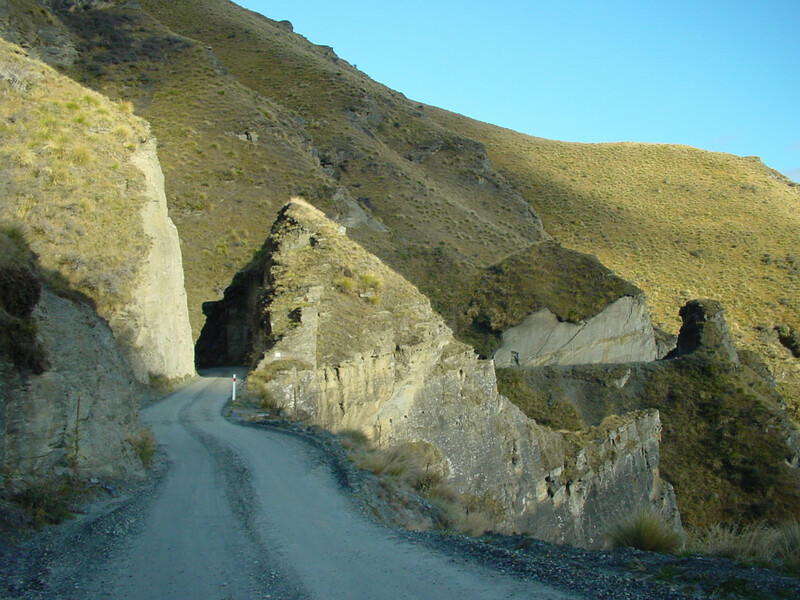 Skippers Canyon rated one of world's most dangerous roads. (2017, August 26). 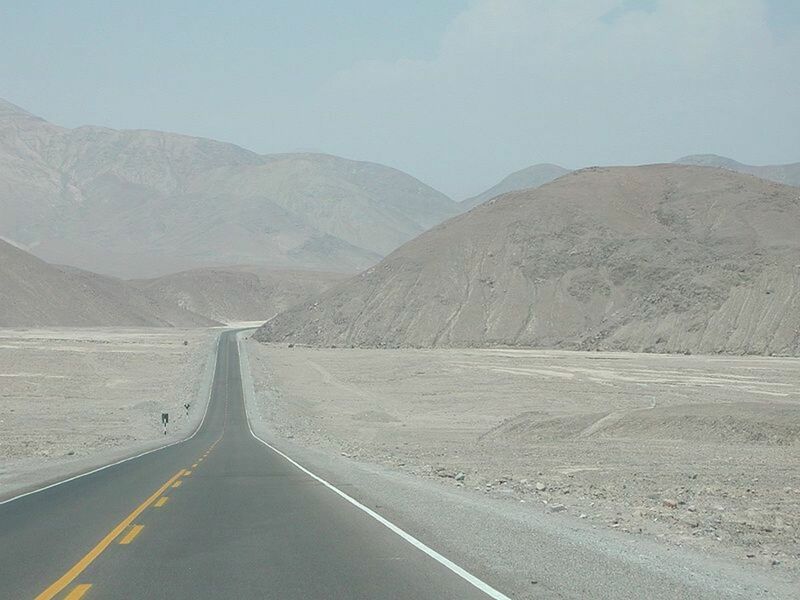 The Pan American Highway: The Longest Road In The World. (2016, April 05). If people know these roads are dangerous, why don't they stop driving on them? Most people probably don't drive on them. But some are public roads or highways, and if people have to get from one place to another, they may not have much choice but to use them. Broke my collarbone while biking down #2 last year. Got sent to Arco Iris hospital and it was really cheap to get x rayd and some tramadol pills then they sent me on my way. Overall very nice experience was really fun biking would recommend 9/10!! Thanks for the tip, Sunny. I've made the appropriate changes to my article. Please correct the information ( it's not 1 Fairy Meadows Road , Pakistan) . This video shoot in India Himachal Pradesh (pangi kishtwar road ) . As far as I know, people still travel on all of these roads. do people still travel on these roads? Zojila* Pass is not 9km long. I have travelled on it. 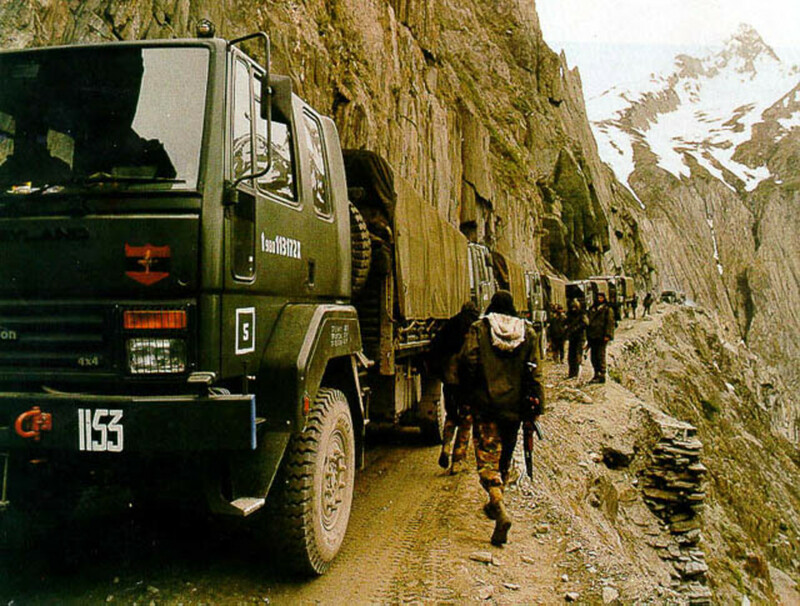 It stretches from the small town of Sonamarg to Kargil District, passing Zero Point (25km from Sonamarg), and continues to Leh, Ladakh. Probably the only route connecting Srinagar region to Leh. Zojila Pass is only a part of the Srinagar-Leh highway. Fairy Meadows obviously tops this list..i visited this area just few weeks ago, it was very dangerous and extremely beautiful piece of nature. 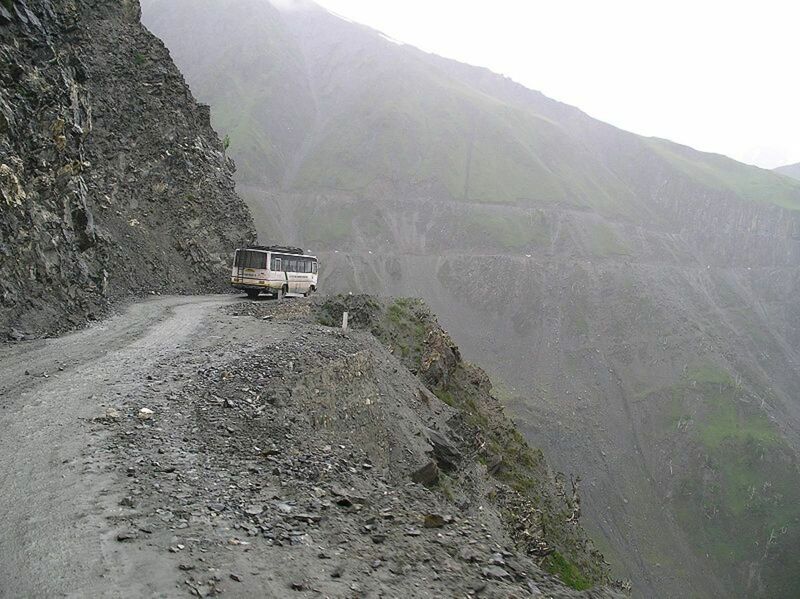 The truck we were travelling on fell from a hazardous meandering gravel mountain single lane road +- 250m down the road. The truck passed a river at the bottom. It was in 1983 october 30th cold night 20h32 LESOTHO from Mokhotlong to Maseru. We ascended up the slopy ground sat on the other side of the road and cried. No help, nothing at all until in the morning. Looking at all these roads interests me but i wouldnt try travel on them ,i can just die. LESOTHO ROADS ARE ALSO A BIT SCARY . My worst experiance were roads in Ukraina (between Kerets'ky Керецьки and Lypcha Липча) because no gasoline station, no service but holes on road was like after bombing (cca. half meter holes everywhere). Also in East Latvia drove 50km on road without asphalt with a lot of stoones and dust. Terrible. Third dangerious road were in willages in Montenegro and Bosina & Herzegovina, but it was 15-20 years ago, now there is repaired and more wide roads. 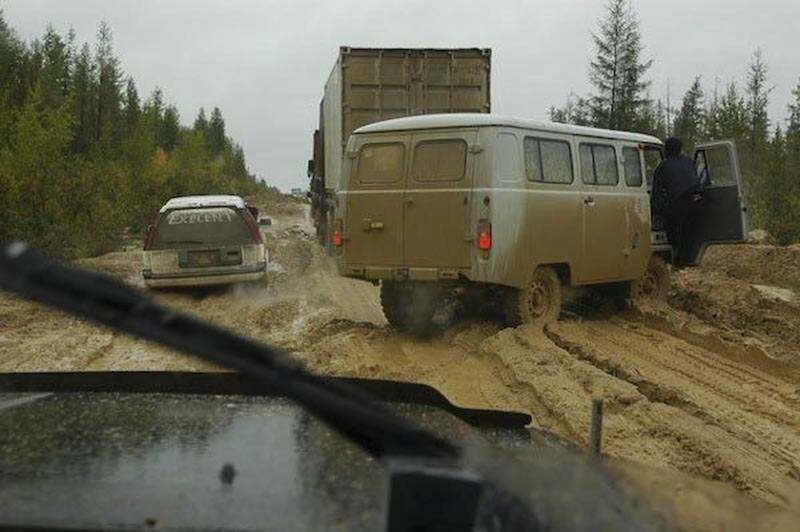 My experiance with Russian roads was not bad as other people announce but I was in european part of Russia which were main roads are in good condition even better than most roads in EU. Thanks for the comment, Spanish Food, I'll have to check out that road you write about in South Africa. Later! Fascinating. I've been on a road somewhat similar to the Guoliang Tunnel Road, from the pictures, but it wasn't quite as enclosed. It's called Chapman Peak Drive in Cape Town, South Africa, and it's often closed because of the rock slides. I was lucky enough to be there when it wasn't, and it was truly spectacular! Yes, Paul Edmondson, the Fairy Meadows Road tops this list, and you can see why - just watching the video is terrifying! Later! That last road is insane. Thanks for the comment, Amanda108. These roads are truly terrifying. I would drive on a few of them - but not all of them. Later! This reveals how much of a big chicken I am, but just looking at these photos and watching the videos gave me an adrenaline rush! To actually be forced down those roads would induce true terror. My heart goes out to those who have no choice but to do so for some reason in their lives. Very interesting hub! Hey, DrMark1961, there are many videos for traveling in the Atlas Mountains of Morocco. I'm still trying to find one showing travel on a dangerous road in that area. If I find one, I'll probably tack it onto this story. Later! No, I really wish I had taken a video though. Once we reached the village we had to travel by mule to reach the high pasture--the "road" up the sides of the mountains was usually only a foot across in some places. I was working, and although I lived there 7 years the Ministry never gave me permission to go up there again, in spite of the numerous diseases the shepherds face. Thanks for the comment, DrMark1961. It appears you experienced some great adventure on that trip to Morocco. Did you bring back some video of your trip? I'd love to see it. Anyway, I'll check out YouTube and search for videos of this remote area. Later! I travelled a road in Morocco´s High Altas Mountains, from Toundout to Tamsrit (Ouarzazate province). A car goes down it every 5 years or so-there was a lot of stopping to pick up rocks, even on the hundreds of switchbacks, and numerous times our Land Rover rolled in the gravel and almost slipped off of the edge. And, I am alive to recommend it be added to your list! Thanks for the comment, John Albu. Videos of these terrifying roads are exciting to watch, but I wouldn't dare drive on any of them. Well, maybe I would try one or two but not the worst of the bunch. Later! Thanks for the comment, DrMark1961. I tried to make this list as accurate as possible, and if I find a road that belongs here, I'll probably add it to the list. Later! Thanks for the comment, Torrilynn. These are truly some horrifying roads, don't you think? 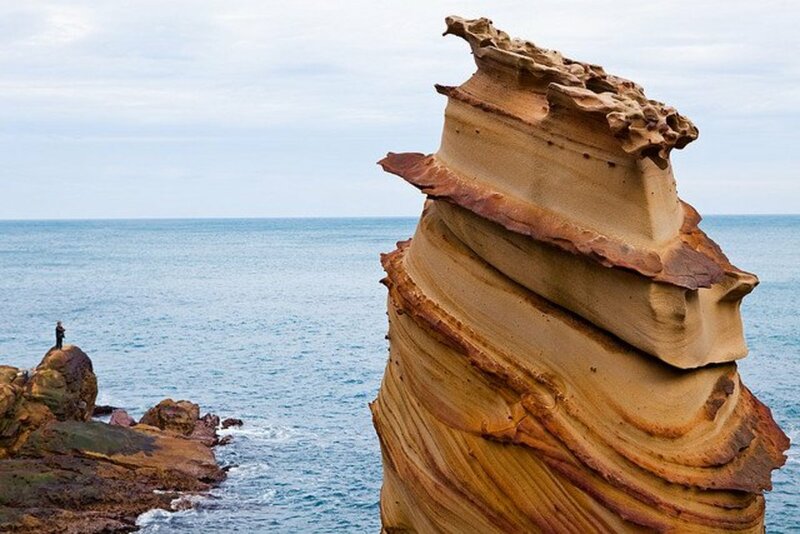 Wow, I got a vertigo only from looking at some of these pictures. 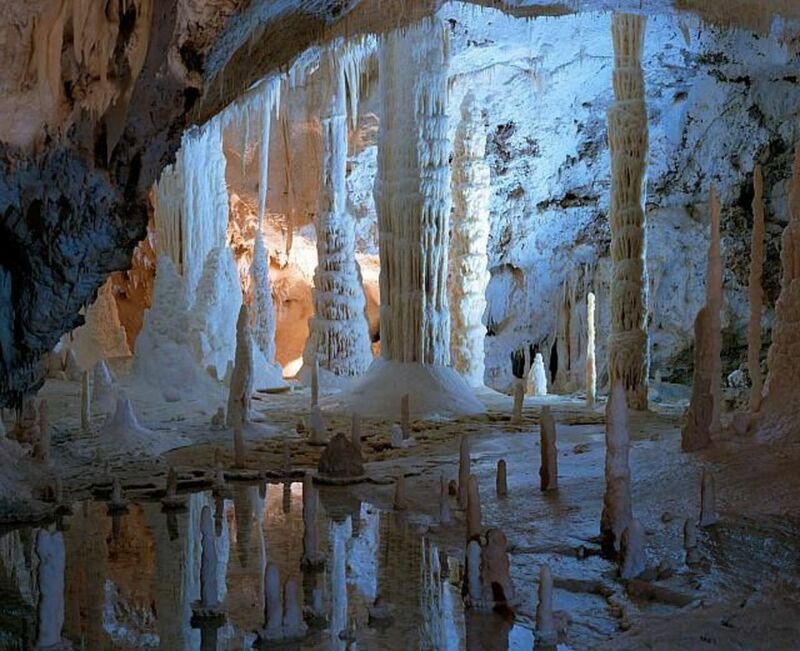 Scary yet mesmerizing places, at the same time. I would like to visit the one in China, to be honest. Looks so interesting. The one in Russia seems to be the most brutal! I am not sure I agree with all of these, but since I am alive to write this I think I could be wrong! Interesting choices. I've seen the discovery channel show the different dangerous roads before and they look terrifying. This was very interesting.